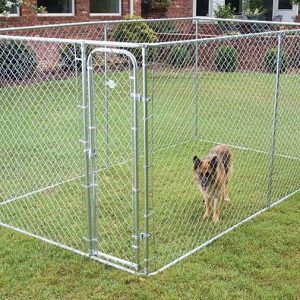 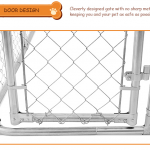 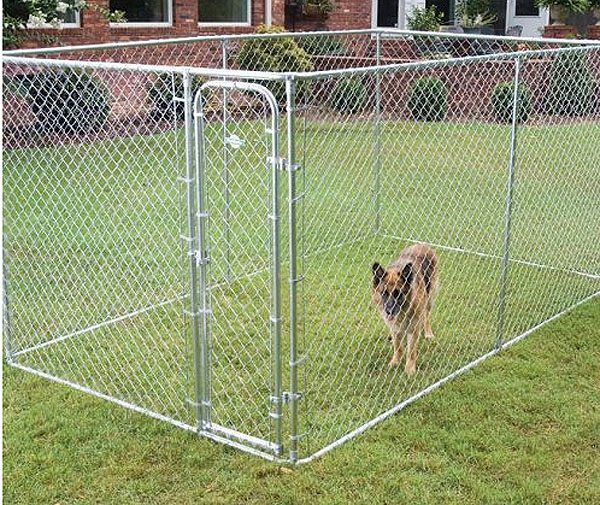 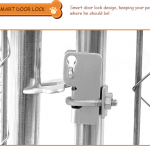 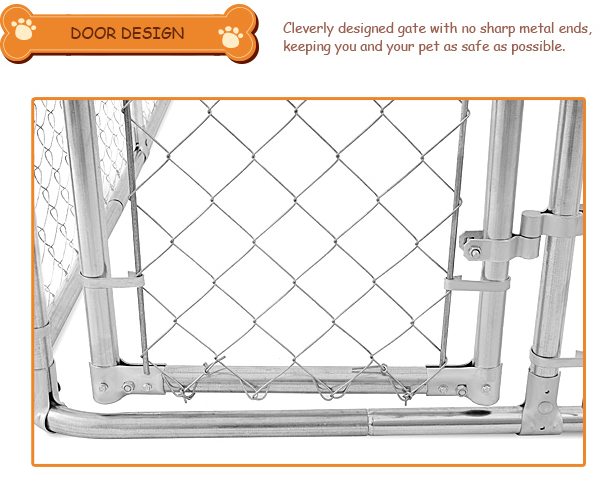 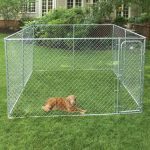 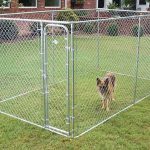 This dog run measures (19.8 x 9.8 x 6.6ft) and is manufactured from 32mm galvanized steel tube our large dog pen provides a high quality area for your dog(s) to be safely secured in. 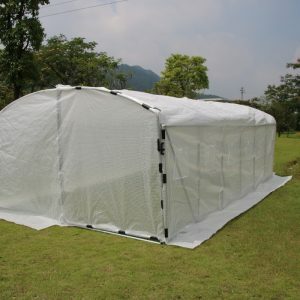 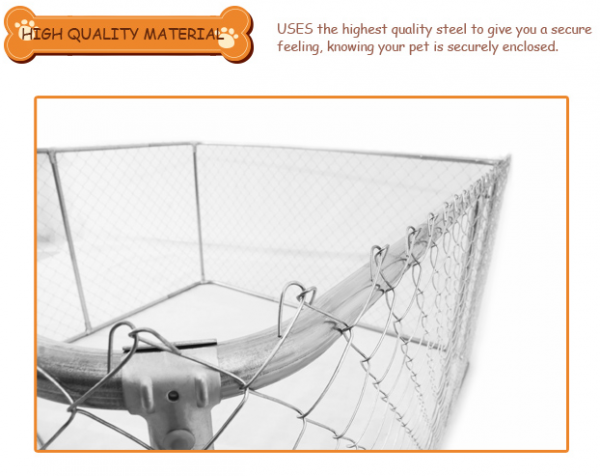 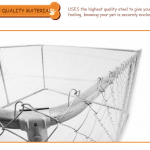 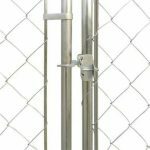 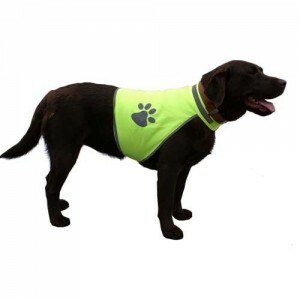 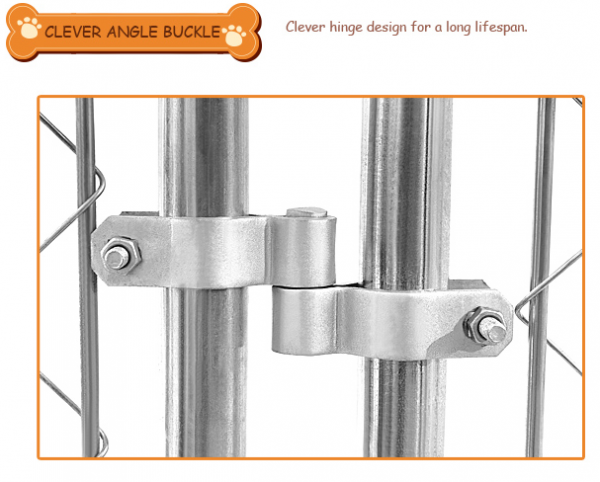 This pen features a chain link wire mesh that is 60 x 60mm sq, 2.1mm galvanized steel wire. 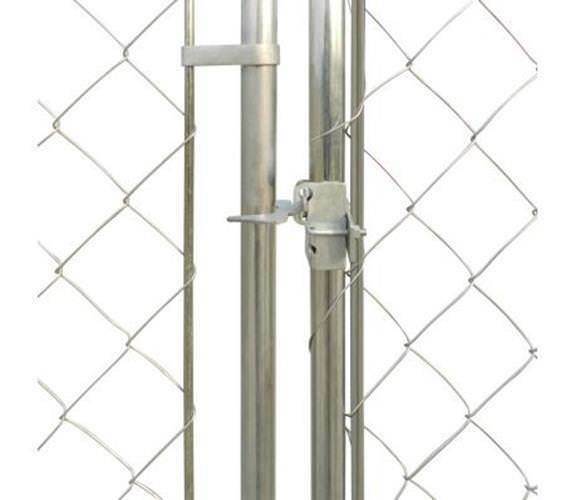 60 x 60mm, 2.1mm thick wire, galvanized chain link wire mesh. 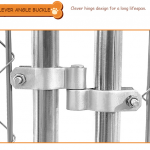 The video is a guide only as bar configuration has changed. 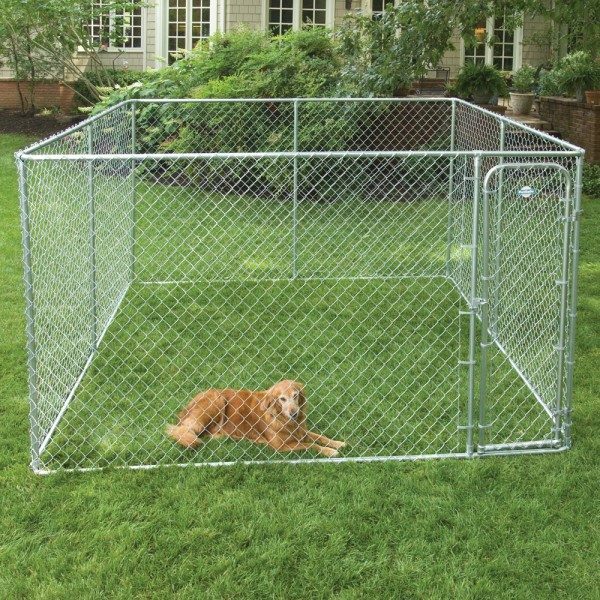 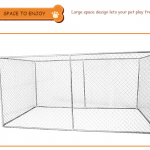 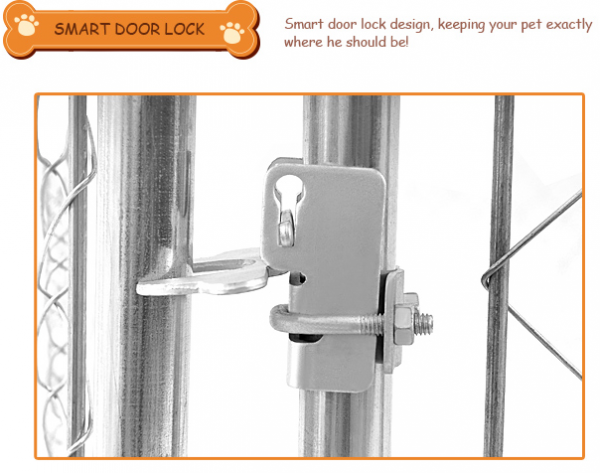 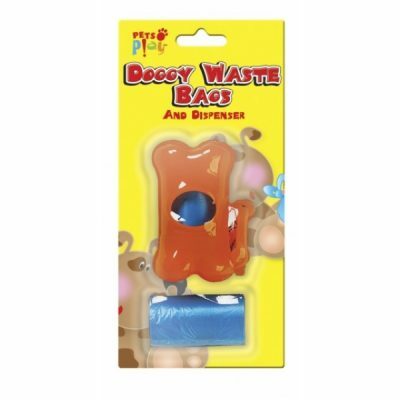 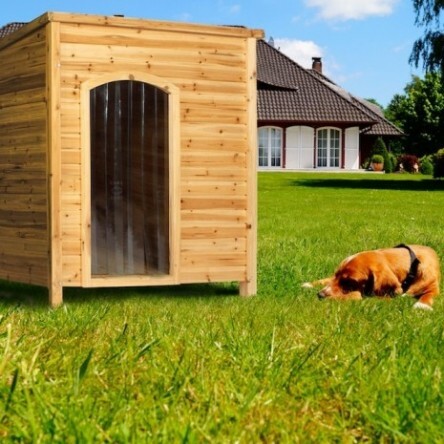 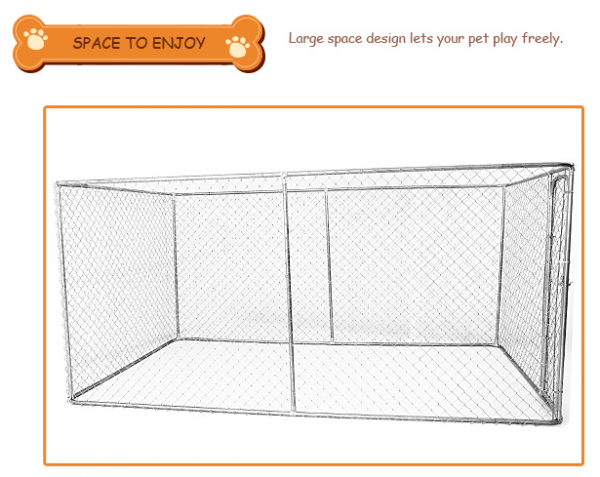 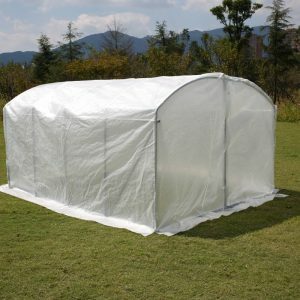 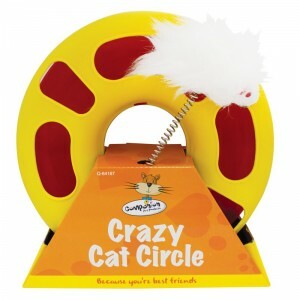 Perfect to keep our bunny contained.